Drink and snack from the same container! 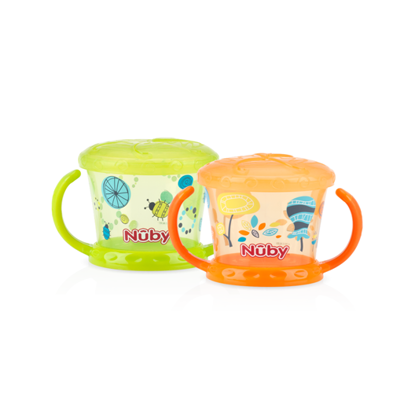 Nûby’s new Snack N’ Sip™ range of cups allows your child to eat and drink from the same container! This revolutionary design is made for the parent on-the-go and is great for day picnics, hikes, and your child’s recreational activities! 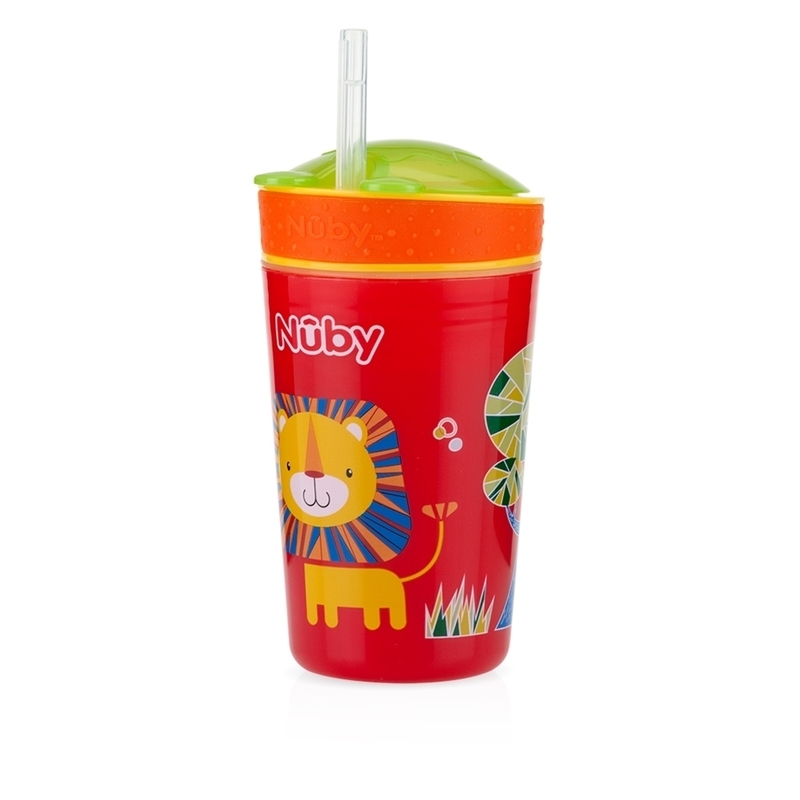 The soft silicone straw is uniquely designed to prevent drips and spills while being delicate and gentle to gums and teeth. All Nûby™ products are made of safe, durable, materials and exceed all government safety regulations and standards. The cup is made from durable, break-resistant plastic which is BPA FREE.